Christina Agapakis is a biologist, writer, and artist known for her experiments exploring the future of biotechnology. 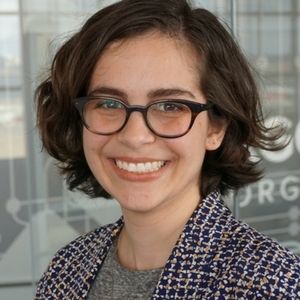 She is creative director at Ginkgo Bioworks, a synthetic biology company that specializes in prototyping, designing, and licensing bioengineered microbes to a variety of industries. Since opening its automated “organism engineering foundry” in 2015, Ginkgo has licensed about two dozen custom-made microbes to companies such as the fragrance house Robertet and the food and pharmaceuticals manufacturer Ajinomoto. These organisms are used to mass-produce ingredients that are too expensive or rare to cultivate in their current forms, such as a new rose fragrance being developed in partnership with Robertet. And Agapakis is looking beyond replicating existing products to actually creating new ones; for instance, she has been partnering with the R&D arm of Copenhagen’s pioneering Noma restaurant to create new flavors in wines and vinegars with engineered yeast. And as part of the company’s 100 Vial Project, dedicated to crating a library of bio-based scents, she’s working with scientists and perfumers to resurrect the smell of a long-extinct flower by analyzing preserved specimens. Agapakis holds a PhD from Harvard University, where she worked on producing hydrogen fuel in bacteria, creating customizable plants, and making photosynthetic animals. She has taught designers at the ArtCenter College of Design and biomolecular engineers at UCLA, and she once made cheese using bacteria from people’s armpits, toes, and noses.